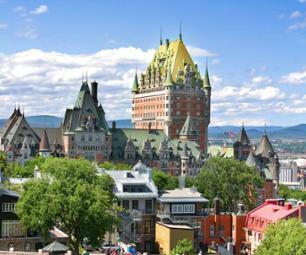 The only fortified city on the North-American continent, Quebec and its historic quarters have an undeniable charm. 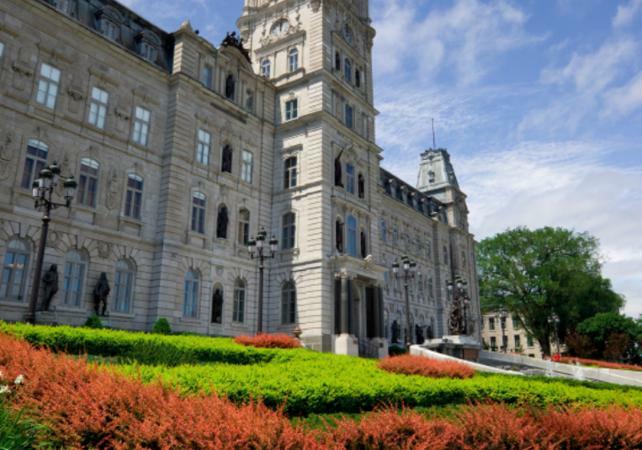 Over the course of the day, your guide will share with you all the secrets of the 'Old Capital', the cradle of French civilization in America. 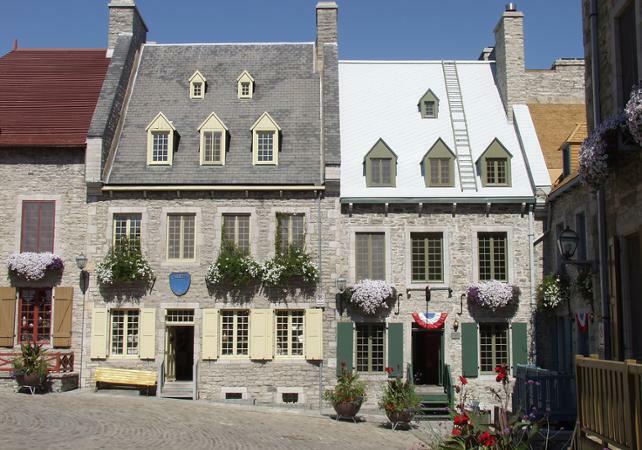 You will travel 500 years into the past, back to the beginnings of the city, by visiting the historic district of Old Quebec – a UNESCO World Heritage Site. 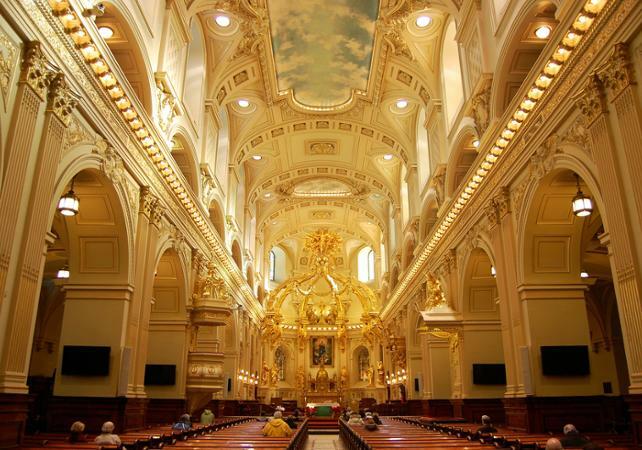 There you can admire the Cathedral-Basilica of Notre-Dame de Québec, the Royal Square and the Petit Champlain quarter, the oldest commercial district in North America. 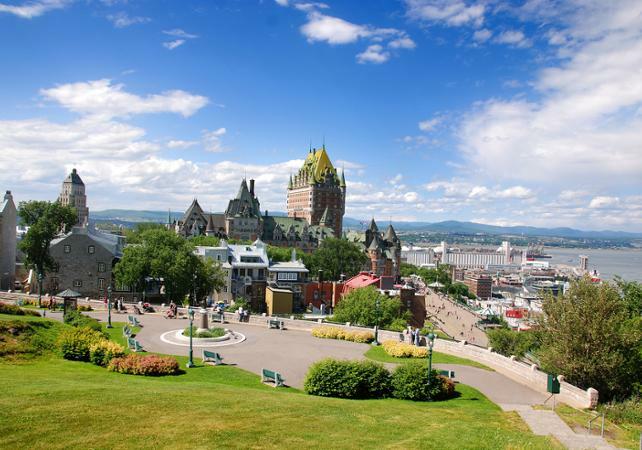 Outside the city’s fortifications, your guide will take you to visit the plains of Abraham, the site of a famous battle that marked the end of the French regime in the region. 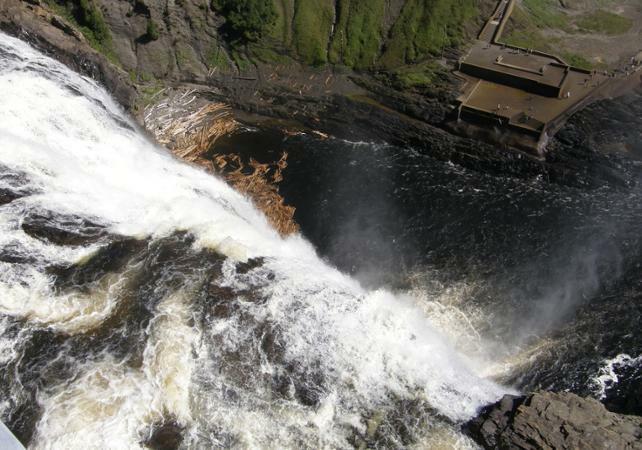 Continue your day with a visit to the impressive Montmorency waterfall. 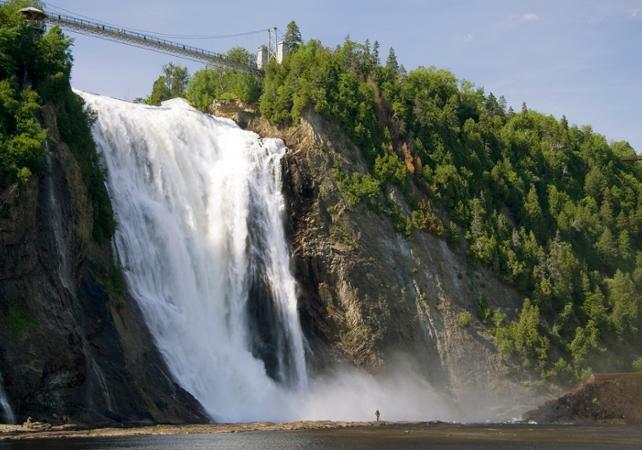 Located between the Montmorency and Saint Lawrence rivers and towering 83 meters tall, it's an impressive 30 meters higher than Niagra. 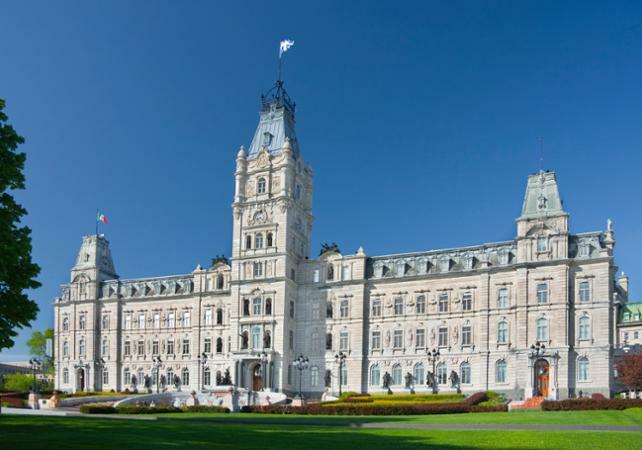 If you wish, you can also add a guided cruise of the Saint Lawrence river to your day in Quebec. 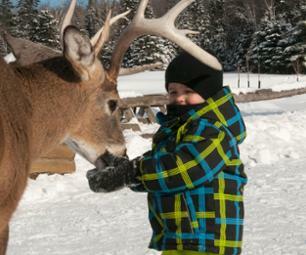 A walk on the river (frozen and impassable in winter) is a unique opportunity to see the main monuments of the city from a different perspective. 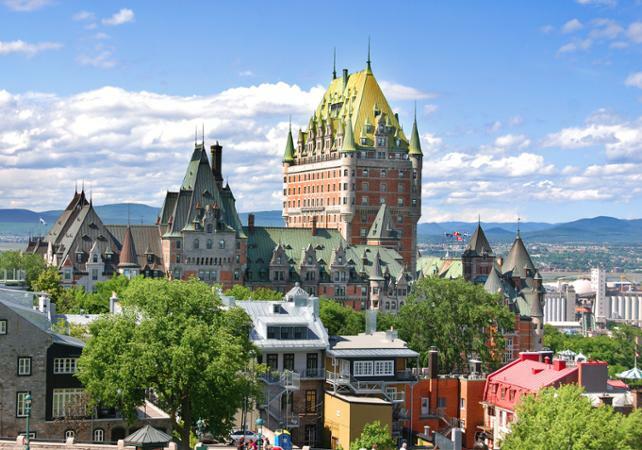 You will benefit from an exceptional panoramic view over the Frontenac castle and see the ramparts of the old city from the river. 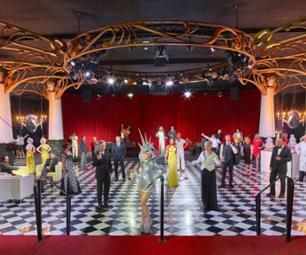 A reservation made for special dates cannot be cancelled, modified or refunded. 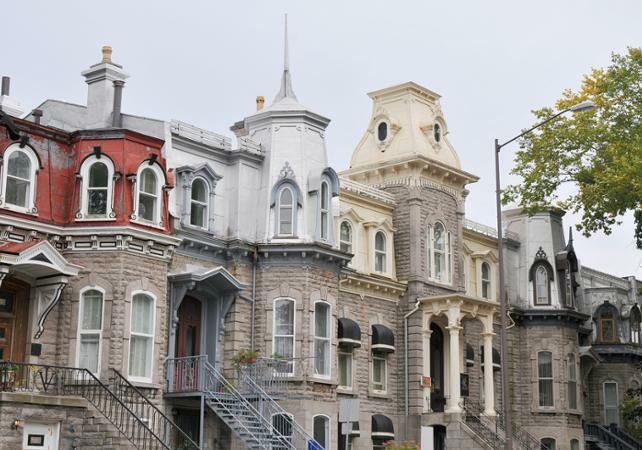 Très chouette journée, bien organisée avec un super guide à Québec qui a su nous présenter la ville et nous donner l'envie d'y retourner ! 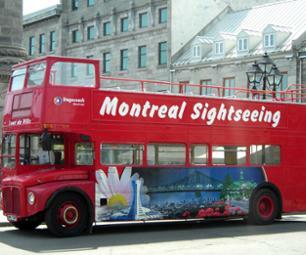 Le car est confortable et propre.